With a Volvo career spanning 30 years, Mr Merrick joins Volvo Group Australia from the position of Senior Vice President Retail Development – Volvo Trucks in Sweden, where he has been responsible for delivering a premium retail customer experience through the dealer network, driving digital transformation, and developing competence to match the needs of the retail operations. 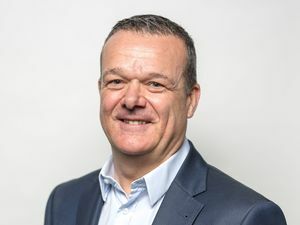 “Martin brings an incredible wealth of knowledge and experience, having started his involvement with Volvo from the very outset of his career in sales while working in a Volvo truck and bus dealership in Scotland,” Heléne Mellquist, Senior Vice President Volvo Trucks International, said. “This early grounding means he fundamentally understands the needs of our customers, which he has translated to drive invaluable customer-focused initiatives in his numerous leadership roles at Volvo. Commenting on his appointment, Mr Merrick acknowledged the unique competitiveness of Volvo Group Australia and the opportunities presented by the underlying local market strength. “Like many colleagues at Volvo, I have kept a close eye on what has been happening in Australia and New Zealand as they continue to be lead markets for us in areas such as R&D, particularly in developing products to suit the quite unique needs of local customers,” Mr Merrick said. Volvo Group Australia has experienced strong growth in recent years, and by the end of 2017 the combined marked share of Volvo, Mack and UD Trucks was 27.2 per cent. It is the only local truck manufacturer with ‘Made in Australia’ certification, and since operations began in 1972 more than 60,000 trucks have been produced at the Group’s factory in Wacol, Queensland. After five successful years leading the organisation, current President of Volvo Group Australia Peter Voorhoeve will move to the role of President Volvo Trucks North America, with effect from 1 September, 2018. Heléne Mellquist said Australia and New Zealand are strong markets for Volvo Group, which have flourished under Mr Voorhoeve’s leadership. “Peter has been unrelenting in his commitment to ‘service, service, service’, and his absolute customer-focused approach has been crucial to the Group’s success in Australia and New Zealand,” she said. Mr Voorhoeve has thanked the local team for their support during his leadership of Volvo Group Australia, and acknowledged their commitment to upholding the Group’s customer-focused service mantra. “Australia has been my second home for many years now and I will miss the talented and loyal team at Volvo Group Australia. We have worked very hard together to grow and maintain our market leadership, and I know that Martin Merrick’s experience and focus on the customer will continue to drive the Group’s success,” Mr Voorhoeve said.